The County range is a truly practical solution for people with active or working dogs. 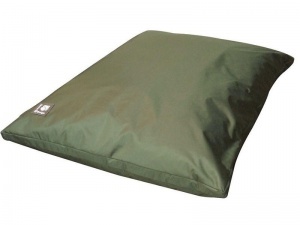 The County duvets are easy clean products that make life a breeze when muddy paws strike! Simply wipe the duvets clean with a damp cloth. Great for the kitchen or the car. Made from Waterproof Country Green Nylon. This is a spare Cover to fit large Danish Design beds. Size: 130cmx83cm.